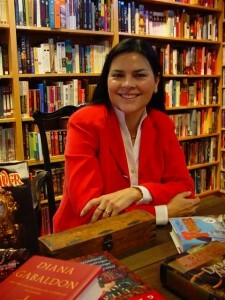 I promised you the second half of my interview with Diana Gabaldon, the internationally bestselling author of the Outlander series, and you shall have it in just a moment. First, though, I have some exciting news of my own to share, and a confession to make. The confession is this: I used to envy Diana. Not her work—I love her books, but they are hers and I have my own. No, what I envied was the fact that they were all in print, all the time. Readers who aren’t also writers may not realize how rare that is. Publishing is a bottom-line business, and shelf space is valuable; books that don’t sell very well are quickly replaced by new books. Just a few years ago, there were only a handful of living writers whose entire body of work could be found on the shelves of bookstores, even virtual ones. For the rest, the most one could hope for was to have a new book in hardcover while the one before it was still available in paperback. Once the stores started returning copies, the books were essentially dead, except for copies circulating in libraries and used-book stores. They’d be remaindered and declared officially out of print. Writers could then get their rights back, but there was nothing much they could do with them. The explosion of ebooks has changed all that. Now it costs nothing for publishers to keep every book they’ve ever published in print perpetually, so long as they own the rights. And writers who have regained the rights to their old work can reissue it with an ebook publisher or on their own: the literary equivalent to the elixir of life. 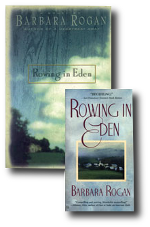 One year ago, Simon & Schuster published ebook editions of my last three books, SUSPICION, HINDSIGHT, and ROWING IN EDEN, and since then I’ve had the pleasure of seeing them out in the world, making friends and finding readers. And now for the news I promised. 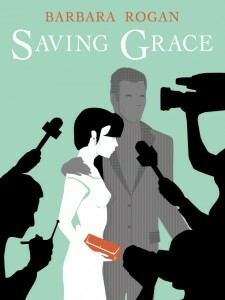 Two of my earliest books, CAFÉ NEVO and SAVING GRACE, have just come out in e-book editions with E-Reads. Print editions will be available within a week. I’m quite proud of those books, and when they first came out other people seemed to like them too. I know you’re all waiting for MOBY, as I am. 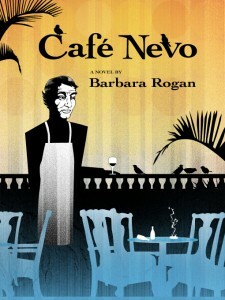 In the interim, may I commend SAVING GRACE and CAFÉ NEVO to your attention? And now, back to my interview with the delightful Diana Gabaldon, whom I no longer envy but admire as much as ever. If you haven’t already read Part 1, you can find it here. In Part 2, the second half of the interview, Diana talks about her life as an international literary star, her relationship with her fans, the book industry’s attitude toward women writers, and lots, lots more. Enjoy! Q: I read some time ago about certain fanatical GAME OF THRONES readers who were furious that George Martin doesn’t churn the books out faster, ignoring any possible link between quality, time and effort. They seemed to feel he was holding the books hostage and could release them in the blink of an eye if he chose. The Outlander series inspires equal devotion among its readers. Have you ever had to deal with overzealous or irrational fans? A: Deal with them? Well, they’re there, certainly. Most people have no idea how writers work, and many of them seem to feel that a writer is a sort of artistic Pez dispenser: all the stories are stacked up inside, one on top of the other, and all you have to do is bonk the writer on the head hard enough to make them spit one out. That is, of course, not how it works. <cough> I explain, periodically, how it does work, and most of my readers are intelligent, well-meaning people who are happy to direct new readers to the places where I’ve explained my working methods. But as for dealing with people who clamor for the next book, all I can be is honest. I.e., it’s my name on the front of the book, and with luck, said book will be out there for a long time. Ergo, it’s going to be as good as I can make it before I send it to the publisher. Barbara: Would you like to have lived in the world you created? Diana: To a point. <g> That point stopping well short of life-threatening disease, warfare, injury, extremes of temperature or gross poverty. 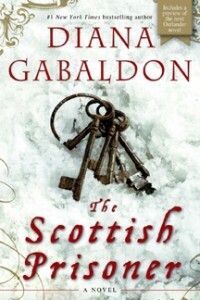 Barbara: Lord John Gray is one of my favorite characters of your invention. What made you choose a gay man in particular as a series character? The obvious first question was—what or whom to write about? 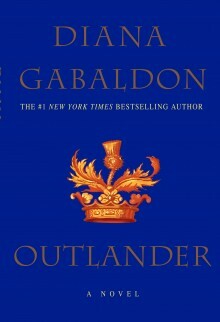 I didn’t want to use the main characters from the OUTLANDER series for this story, because—owing to the peculiar way I write—if I were to incorporate some significant event in this story (and it would need to be, to be a good story)—that would make the event a stumbling block in the growth of the next novel. NB: “The Custom of the Army” and “A Plague of Zombies” are both available (in the US and Canada) as standalone ebooks (as are a couple of other non-Lord John novellas). 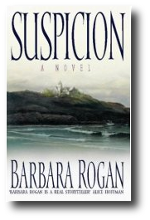 Barbara: Was his sexuality or your portrayal of it an issue for any of your publishers, domestic or foreign? Diana: I think some of the foreign publishers may have boggled slightly at it, but no one’s ever said anything directly to me about it, no. 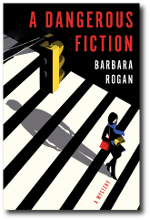 Barbara: The upside of great literary success is plain to see: millions of books sold, legions of devoted fans, awards, invitations to the White House, the opportunity to inhabit a wider world full of interesting accomplished people. Is there a downside? Diana: The major drawback is the sheer amount of travel and appearances (both in person and online) associated with being very popular in a lot of different places. I really like to talk to readers and sign books—but I could do without the enormously time-consuming (and energy-sapping) travel involved in getting to them. Then there are the constant demands for “content”—updates to websites, phone interviews, interviews for blogs <g>, podcasts, Twitter, Facebook, etc. (though I know how to deal with Twitter and Facebook; I spend an average of 10-15 minutes a day on each, and that’s It. I have no Friends <g>, and I don’t follow anybody). And there are the readers who think they’re entitled to dictate when and what a favorite writer writes, and yap at me in public about why am I writing all this Other Stuff, when THEY only want Jamie and Claire? And why am I gallivanting all over the place, when I should be home WORKING? These people are, of course, sadly mistaken about the importance of their opinions, but can be a little annoying. Luckily most of my readers are very intelligent and have beautiful manners. Barbara: What do you know now about writing that would have helped you when you first started out? Diana: I’m not sure I actually know anything more about writing now than I did when I started—though I like to hope that I improve with experience. Most of the novel (sic) things I do, in terms of ambitious structure, time-juggling, and playing with literary devices, are things that are the result of experience; I couldn’t have done them when I was first writing, whether I knew about them or not. 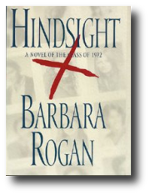 Barbara: What do you know now about publishing that you wish you’d known earlier? Diana: Just who has the power in various situations. For example, it took me eight years of hassling with Barnes and Noble in an attempt to make them move my novels out of the Romance section—until I finally got fed up and wrote a rude letter to Steve Riggio, then the CEO. Twenty-four hours later, I got a call from the B&N VP of Marketing, telling me they were moving the books to Fiction, where they’d belonged all along. Had I know that Mr. Riggio was the only person in that company who could change the diktat on where books went, I’d have started with him. Barbara: Do you think women writers are taken as seriously as men by the literary/critical establishment? Diana: Well, they all seem to think I’m much taller than I actually am, and they can’t pronounce my name, but neither of those misapprehensions is actually offensive. <g> (For the record: I’m five-foot-two-and-a-half. And my name has two pronunciations, both accurate: If you’re speaking Spanish (it is a Spanish name, and it is my own, not my husband’s), it’s pronounced “gaah-vahl-DOHN” (rhymes with stone). If you’re speaking English, it’s “GAH-bull-dohn” (still rhymes with stone). That’s it, folks. Thank you, Diana! This entry was posted in Barbara's books, Interviews, Reviews, the writing life, Writers and tagged Diana Gabaldon, My books, Saving Grace. Cafe Nevo. Bookmark the permalink. Lovely conclusion to your interview! Thanks, Lara! Glad you enjoyed the interview. Thanks, Zan Marie, it’s mutual. In case anyone’s wondering what forum, it’s the Compuserve Book and Author’s Forum, where we all hang out. Devoted readers and writers welcome! Hi Zan Marie! Me too. I edited SAVING GRACE before its re-issuing, but decided to let CAFE NEVO stand as is. To resist the temptation to meddle, I didn’t even read it. Now I plan to. I love you both. That is all. I have said in earlier posts but I mean it so much. I love how truley human and in touch with the people that love her Diana is. Thanks for taking the time to do such a wonderful interview Barabara! Cheers on your own novels as well! Thanks, Keltyck. She is all that. I agree great second half of the interview. Diana, you are so much better than Martin at getting your books out, there is no comparison. Lord John is a great character. I love his books. Great end to the interview. I’ve always loved how Diana though her 80+K book was a short story. Loved the interview. Diana tells us so much about herself. It is wonderful reading. Your interview gives us so much introspection as to a writers thinking. I think that 15 minutes a day is a great idea. I have *got* to stop spending more time on social media than on the writing itself. ammunition against bigots is just grace. Alice, did you try to buy CAFE NEVO and find it was unavailable? If so, I’m so sorry and hope you’ll try again in a week or so. We discovered some errors in the ebook and rather than sell imperfect versions, my publisher is going to make the corrections and republish. So glad you liked the interview with Diana! I was not speaking of one of your books in particular, just ebooks in general. Ah—your comment just happened to coincide with my ebook issue. Anyway, the publisher will have it back up in no time. Thanks for the interview and I love that Diana takes the time to do this. I also purchased the Outlandish Companion and think it’s simply wonderful how open and helpful she is! I realized today, after downloading the Fiery Cross, one of the things that makes Diana stand out from all the other historical writers I’ve read. Her literary style is very well-balanced. I once wrote to a writer I really loved to ask her some questions and she wrote back telling me she had no time for fans and if I wanted someone like that I should look elsewhere. I never read anything by Miss What’s Her Name again. I’ll see Diana at the Fergus Scottish Festival. I know it takes a lot of her time, as she says, but we Appreciate it! It got eaten again _g_! they look very interesting. Best of luck, health, happiness and prosperity to you. Thanks, Ann! Delighted you enjoyed the interview. Diana is always interesting and entertaining! And thanks for checking out my books, too. Hope you enjoy–do let me know! Thanks for the interview and looking forward to reading your own books – glad I took the time to read and find out about your own books. Thanks, Julett, that’s great to hear. Hope you enjoy them–do let me know.